Who might be considered the Western Ancestral Sovereigns of Shambhala? Some of my friends in Nova Scotia have been talking about the idea of Western Ancestral Sovereigns and wondering why there hasn’t been more written about that topic. One of them asked if I might take a stab at writing something for the Times, so here it is. The Shambhala teachings are universal in application – all humans have basic goodness and can create enlightened society by their interactions. As part of those teachings, we celebrate ancestral sovereigns who provide examples of warriorship and rulership that can help us to rule our world – starting with our own household, on a day-to-day basis. The “Homage” and “Invocation” chants invoke “Gesar Norbu Dradul [of Tibet], Ashoka Maharaja [of India], Emperors of Japan, China, and so on….” Other Shambhala sources name the key Chinese and Japanese ancestral sovereigns as Emperor Yung-Lo and Prince Shotoku Daishi, respectively. Shambhalians have been encouraged to learn about these inspiring leaders, and leading members of our community have written about them. The chants describe some essential qualities of an ancestral sovereign: “those who possess great wisdom, brilliant and profound, who are ever just and benevolent to their subjects, who subjugate their enemies and are supremely powerful….” Thus, an ancestral sovereign must make efforts to improve people’s lives and uplift culture in addition to showing strength and power. The Asian ancestral sovereigns, among other achievements, all supported the establishment or strengthening of Buddhism. For many of us who grew up in the Western tradition, though, those Asian sovereigns may not have the same resonance. We can learn about them and honor them, but they may not yet feel like part of our own cultural heritage. So we could ask whether Shambhala also has Western ancestral sovereigns who might seem more familiar and accessible. Although we cannot determine who should be designated as ancestral sovereigns, we can contemplate the question of which historical Western warriors might help us to rule our world. The Shambhala book also mentions the warriorship of “Biblical kings such as David.” King David is thought to have lived around 1000 B.C. He united the Kingdoms of Judah and Israel, with Jerusalem as capital, and presided ultimately over a period of relative peace and prosperity. 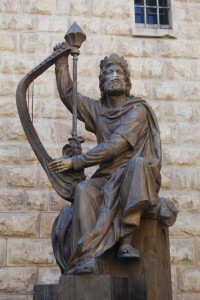 He has traditionally been seen also as a poet and musician, and is attributed authorship of many of the Biblical psalms. In general, he has been viewed as one of the great figures in establishing the Judeo-Christian tradition. Jesus was supposedly his lineal descendant. A more recent candidate is Charlemagne, or Charles the Great. Charlemagne lived around A.D. 800, at a time of great violence and ignorance in Western Europe. While repelling attacks from all sides by aggressive cultures, he united much of Western and Central Europe into what was later called the Holy Roman Empire. Charlemagne encouraged both the Christian and classical traditions of Western civilization, supporting a “Carolingian Renaissance” of education, art, philosophy, and literature. Reaching back to the 18th century BC, we might also consider King Hammurabi of Babylon. 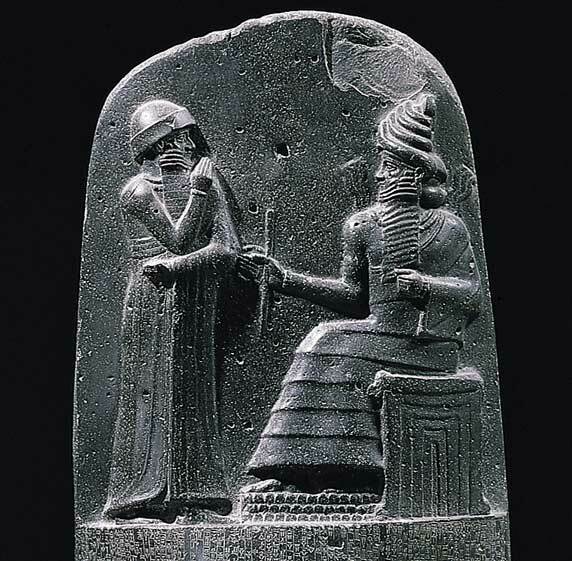 Hammurabi is famous for providing one of the earliest written law codes, which included the presumption of innocence. As a warrior-king, Hammurabi extended the Babylonian empire from the Persian Gulf to the Mediterranean Sea, then devoted himself to fostering prosperity. Throughout his long reign, he personally supervised government administration, navigation, irrigation, agriculture, tax collection, and the erection of public buildings. Another dimension of rulership in the Western tradition is the role of great couples. In A.D. 527, Justinian I was crowned Emperor of what was left of the Roman Empire (that is, the Byzantine Empire), based in Constantinople (now Istanbul). Justinian was a thoughtful, caring ruler. His signature achievement was also the issuance of a law code, which brought together all of classical Roman law and provided the foundation for many legal systems still in use today. He did not rule alone, though; Empress Theodora played a vital role, her decisive voice speaking courageously for what she believed. 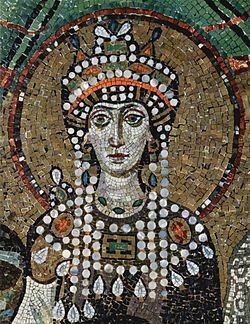 When riots threatened Constantinople, Theodora persuaded Justinian to quell the violence and re-establish peace instead of withdrawing to safety. Her youthful experience as a stage performer (and possibly prostitute) apparently motivated her to improve the lives of women. Among other things, she was responsible for laws prohibiting forced prostitution and granting women more rights in divorce, as well as establishing homes for prostitutes. Justinian and Theodora strove together to make Constantinople a worthy capital, with many public works including the Church of Hagia Sophia (Holy Wisdom), one of the world’s great architectural achievements. The couple did not agree about religious ideology; each supported a different Christian doctrine in a very polarized era, but they treated their differences with respect. After Theodora’s death, Justinian worked to maintain harmony between the feuding religious factions. 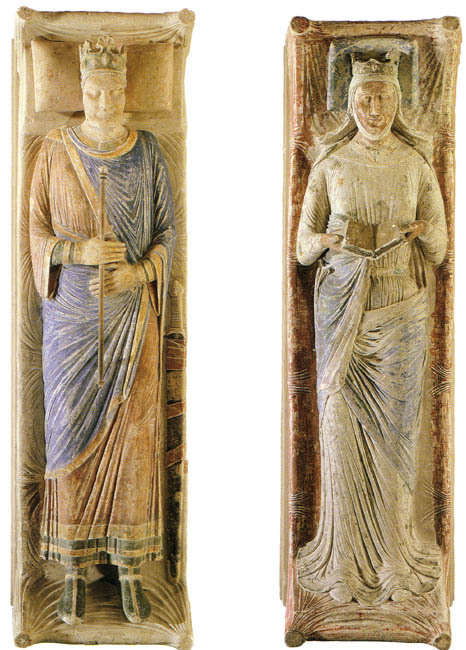 Another ruling couple worthy of consideration is the twelfth-century King Henry II of England and Eleanor of Aquitaine. Henry was a successful warrior who pacified endemic violence in his realm, which included much of France, and established the foundations of law and administration still operating in Britain and many of its former colonies today. Eleanor presided over the flowering of a new culture, with music and literature celebrating chivalry, courtesy, and romance. The list of possible candidates is long. Consider Harun al-Rashid, a contemporary of Charlemagne, whose vast, cultured Arabic Empire built on classical Greek learning to lead the world in astronomy, philosophy, and medicine. Alexander the Great, whose tutor was the philosopher Aristotle, created an empire that spread classical Greek culture from Egypt to India. We might also consider women warriors who sat alone on Western thrones, such as Elizabeth I of England or Catherine the Great of Russia. And, without naming specific rulers, the Shambhala book points us to the warriorship of native societies in both North and South America. This article does not argue for inclusion of any particular person among the Shambhala ancestral sovereigns. It does encourage members of the Shambhala community to think about great rulers in the Western tradition whose warriorship might serve as sources of inspiration to complement the Asian ancestral sovereigns whom we already honor. What about the mother lineage? Thank you for bringing up this vital issue of ruling and for writing this interesting article. I find that we as Westeners need to go back to our roots and find examples of rulers who examplify the Shambhala principles. In modern times we say that ruling implies the use of power and the use of violance. Anarchists say that the state is “organized violence”. I have read that Ashoka and Gesar of Ling in the beginning had been murderers and had killed many of their opponents, and that after their meeting with Buddhism they renounced violance. It is not the same with the Emperor Justinian. According to historical data he ordered the execution of 30.000 unarmed civilians in the Hippodrome in Constantinople. He didn’t regret his act. He was also the one who persecuted the ancient Greek religion and he closed the philosophical schools in Athens. Alexander the Great has been accused by many historians that he murdered a lot of people. Personally, I find that he was a genius, and I enjoy very much the books that the American Steven Pressfield wrote about him, but I don’t really know if he was an “enlightened” ruler. In Shambhala there is an army, which is the 3rd pilar of the kingdom. However, I know a lot of Shambhalians who have problems with the Kasung. Buddhism is a non violent religion but when we come in terms of defending our kingdom and our survival, can any form of violence be accepted? I think that a really inspirational Western figure is king Menader I who reigned from 165 or 155 BC to 130 BC. His territories covered the eastern dominions of the divided Greek empire of Bactria Province and extended to modern day Pakistani provinces of the NWFP, Punjab and parts of Himachal Pradesh and the Jammu region. His capital is supposed to have been Sagala, a prosperous city in northern Punjab (believed to be modern Sialkot), Pakistan. He became a Buddhist, and Buddhism and Greek Buddhist monks played an important role within Greek communities in northwestern India under the sponsorship of Menander. A Greek writer and scholar, Nikos Dimou, has done a research on the interaction of Greek and Indian/Buddhist culture during the Hellinistic Era and wrote a wonderful book entitled “Greek Buddha”. Moreover there is a Greek influence in the creation of an innovative anthropomorphic image of Buddha. Sometime between the 2nd century BCE and the 1st century CE, the first anthropomorphic representations of the Buddha were developed. These were absent from earlier strata of Buddhist art, which preferred to represent the Buddha with symbols such as the stupa, the Bodhi tree, the empty seat, the wheel, or the footprints. But the innovative anthropomorphic Buddha image immediately reached a very high level of sculptural sophistication, naturally inspired by the sculptural styles of Hellenistic Greece. 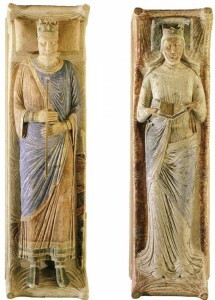 Many of the stylistic elements in the representations of the Buddha point to Greek influence: the Greek himation (a light toga-like wavy robe covering both shoulders: Buddhist characters are always represented with a dhoti loincloth before this innovation), the halo, the contrapposto stance of the upright figures (see: 1st–2nd century Gandhara standing Buddhas  and ), the stylized Mediterranean curly hair and top-knot apparently derived from the style of the Belvedere Apollo (330 BCE), and the measured quality of the faces, all rendered with strong artistic realism (See: Greek art). Some of the standing Buddhas (as the one pictured) were sculpted using the specific Greek technique of making the hands and sometimes the feet in marble to increase the realistic effect, and the rest of the body in another material. Indeed – great warriors all. Thank you for doing this. I would love to see more detailed bios for each of the above. It provokes me to think about how some of the types of institutions that these warriors started – could also be applicable to this time. I happen to agree, that there is no mention of the mother lineage. In Judaism, ancestral sovereigns have a very prominent role, since lineage and tradition are an essential part of our life. We count not only Abraham, Isaac and Jacob, but also Esther, Rachel and Sarah. A problem that I see is trying to match up to Shambhalian criteria, the values that are considered essential in the work of these Ancestral sovereigns. For Jews these people played an important part in advancing the civilization at times of great challenge. Sometimes it might be through war, and other through sacrifice or wisdom. Although it might be said that the spirtiual lineage of Jews is primarily racial in nature, to properly understand the kind of place these superheroes had in our history, you must examine their stories on their own terms, and not super-impose an ideology or foreign spiritual view on it. You are all amazing; your scholarship and thought provoking questions are challenging as well as encouraging. My family Quaker lineage, amongst other family lineage cultures, as I understand, was based upon the mutual respect for the Light of Christ that is the core seed of every man and woman.This can not be given to you, but is awakened, cultivated and encouraged by your family and a Friendly society. Basic Goodness appears the same from my experience. As fellows travelers upon this endless “Journey without a Goal” we are all the descendants of these heroes and warrior Queens. We as Shambhalians share common goals which manifest as proper behavior and mutual respect for one another. It seems that the Dorje Draudel, in his infinite wisdom, brilliance, and humor successfully plunged deeply into the primordial source of Non Thought, Square One and created for all of us a workable model for human society. This gift, our mutual inheritance, binds us all together, on our common journey. What encourages me, is seeing how this second generation of Shambhalians are integrating these teachings into their lives. What a great joy! I’m a little puzzled by the comments about the mother lineage if you (and Sopa) were referring to this article. It discusses Empress Theodora and Queen Eleanor (as parts of royal couples) and mentions Elizabeth I and Catherine the Great as other possibilities to explore. In fact, there are many women who deserve acknowledgment in the Shambhalian tradition. Note, though that our ancestral sovereigns would probably not include the Jewish mother lineage figures such as Sarah or Ruth, because they weren’t sovereigns in the same sense as our Asian ancestral sovereigns. Indeed. I mentioned the Dorje Dradul’s reference to Native American societies at the end of the article. Besides Crazy Horse (truly a great warrior), other candidates might be Sitting Bull, Chief Joseph, Cochise, Yonaguska, and so forth. Of course, the South and Central American pre-Columbian societies add a whole different dimension that we should look at also. Thanks for your interesting comment. There is certainly a lot to explore in the interaction of Ancient Greek and Buddhist culture. Thanks for your comment. It would certainly be good to have more substantial discussions of these figures. The constraints of a Times article don’t allow for it, but I’m sure it could be done if people have enough interest. The Celtic culture hosted the major manifestation of warriorship for several millennia in Europe, until their population was displaced by migration from the east. 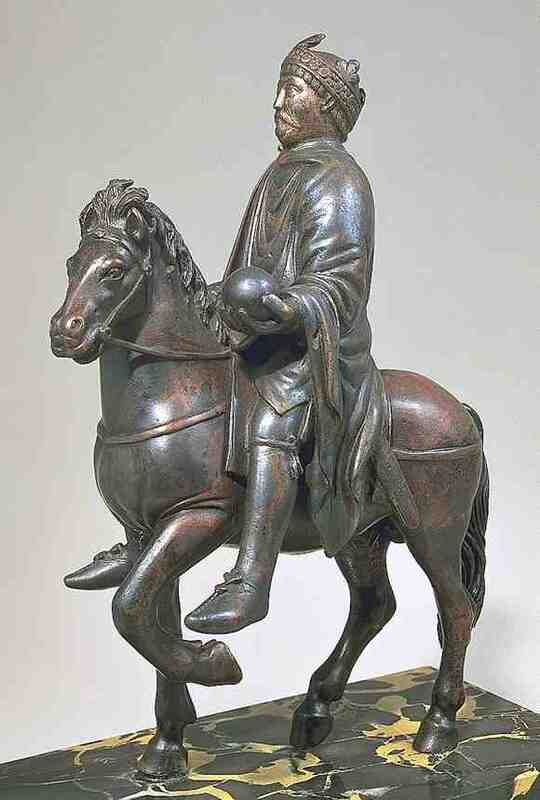 Generally their travels were widespread but the most fascinating of these on the archeological record may be seen in a video called " Riddle of the Desert Mummies" ( not to be confused with the spin off spoof," Rittle Dessert Mummies"), in which Celts were proven to have journeyed from Europe to China on Horseback. the female warrior Scáthach ( pronounced Skyah), who in her human, red haired form taught warrior arts to such beings as Cuchulain, the great hero of the Ulster Cycle of mythology (The Tain Bo Cuailgne or The Cattle Raid of Cooley). Scathach's seat was on the Isle of Skye at Sleat, in a castle site called Dunscaith ( Dun= Castle or fortress, Scaith = Scathach), most recently owned by Clan Donald. Dunscaith is reputed to have been built in one night with the aid of lokapalas.It is in ruins now. It is here where Scathach trained warriors and later she transitioned from being a human manifestation to being a drala or sambhogakaya being. The Isle of Skye is named after Scathach , and even today her legends are told to children around the firesides of Skye. She is known as the Queen of mists and protective obscurity, and here name is synonymous with "shield." Scathach is one of the ancestral sovereigns of many people of Scottish ancestry who live in the Americas and in particular those who live in Nova Scotia. The Celts have a wonderful enlightened warriorship tradition, manifested in such men as William Wallace ( subject of the movie Braveheart), The Bruce , Prince Charles Stewart ( Bonnie Prince Charlie) among many others. That tradition lives on today in the various military regiments of Scotland which now serve Her Majesty, Queen Elizebeth II , but that tradition must and does now flower inside the setting sun function of a modern military. Much of that function surrounds Highland Pipe Bands and the related sambhogakaya energy from that music of the Highland Pipes. Sangha member Jeremy Blackburn exemplifies that tradition, as well as many others, encouraged by the often kilted Dorje Dradul of Mukpo. Author Norma Lorre Goodrich in 4 of her books ( King Arthur, Merlin, Guenivere, the Holy Grail) makes an authentic case about the historical connection between the Scottish/Celtic heroic tradition and the enlightened society of King Arthur,who was thought to be the son of a Roman father and a Brythonic Celt Queen. Ancestral sovereigns are not restricted to those of our root Shambhala lineage. Every family has them; it's just a matter of searching for them from time to time, as we walk this wonderful path of the Sakyongs. The following is an excerpt from a longer essay that came out of a class that I taught on enlightened society and the ancestral sovereigns last spring. My curiosity about dralas and ancestral sovereigns was first piqued by a chapter on dralas in the Werma Sadhana Manual. In it, Robin Kornman stated that sometimes great historical figures become dralas after they die. The Sakyong also sometimes refers to human drala. This essay explores that idea. The fact that you are reading this article means that you are curious about basic goodness. There was probably someone early in your life who embodied the primal qualities of wakefulness, curiosity, intelligence and kindness. Perhaps they awakened in you a sense that life was a precious, fresh and an open book. Possibly they didn’t completely manifest clearly all of the qualities of basic goodness, but they did communicate some of them, and those became part of who you are now. Because of that inspiration, you want to know how to understand basic goodness. Sometimes one encounters people or places that cut through one’s habitual discursiveness. The Tibetan word for that is “drala”, which means “above the enemy”. In this case the enemy is the protective cocoon of discursiveness that keeps us separated from authentic engagement with others. Often the word drala is attached to the atmosphere of presence and spaciousness that occurs when we encounter places in the landscape that affect us. But dralas can also be human. Who were the human dralas in your life? How did they transmit to you to you the basically good qualities of warmth, curiosity, engagement, kindness or compassion? How did you recognize that transmission? How did you sense that it was important? What did it awaken in you? Such people have a certain power: they awaken basic goodness and arouse respect. They become examples and social reference points. Abraham Lincoln is an American example. When his name is mentioned, people who know his story experience images of sensitivity, kindness, clear seeing and confidence in basic goodness. The drala quality of Abraham Lincoln is his ability to bring an experience of basic goodness, or at least images of it, into our minds. Abraham Lincoln and the qualities that he evokes are reference points for how Americans feel about their society. Winston Churchill is a British example of human drala. He possessed the self knowledge not to waver in difficult circumstances. At the mention of his name, we have a momentary flash of courage and calm. People of a given society often feel deep reverence for their founding fathers. Perhaps some historian will find that some of them were really fakes–operating from ulterior motives that were remote from basic goodness. In a sense, that doesn’t matter. Their drala quality is in the communication of basic goodness to us: their present ability to cut through our discursiveness and touch our own latent basic goodness. This kind of transmission always happens in the now. Perhaps it is really the generic dralas of basic goodness speaking, and we identify them as ancestral figures. For me, Chogyam Trungpa Rinpoche is a drala. At the thought of him, I experience for a moment the tremendous spaciousness and wakefulness of his mind. Maybe it is the Chogyam Trungpa of my own mind that I’m experiencing, or maybe it’s a universal guru principle that’s beyond the purely personal. In any case, the memory of him awakens the experience of that mind on the spot. Chogyam Trungpa Rinpoche, mentions four ancestral sovereigns that serve as dralas for their respective countries. Each tuned into a different aspect of basic goodness. In ancient India, around 250 BC, the emperor Ashoka came to power in exceedingly violent circumstances. Filled with regret, he established an empire based on kindness. He erected many pillars that are still standing, bearing his edicts. Many of his edicts are about kindness and respect in one form or another. His emblem adorns the Indian flag today. For Indians, his name evokes kindness, compassion and enlightened statesmanship. In Japan, around 600 AD Prince Shotoku outlined principles of government that recognized that everyone had buddha nature, and that officials in government had a duty to serve the people first and themselves second. He took the mahayana idea that buddha nature resides in everyone regardless of social class and combined that idea with the Confucian ideal of harmony and respect and good governance. This combination became the basis for his seventeen article “constitution”, which had a profound influence on Japanese society. He is known as the “Father of Japan”. In China, during the Ming Dynasty, around 1400 AD the Yung-lo Emperor developed the aspect of basic goodness aspect that involves curiosity, exploration and learning. He created a library containing all the knowledge that existed, encouraged the arts for which that dynasty is famous. He sent an armada of huge wooden ships, many times the size of the European ships that discovered the New World, on peaceful voyages throughout Southeast Asia, the Middle East, India and Africa. These voyages stemmed not from desire to conquer, but from a seemingly genuine quest for knowledge and contact with other cultures. He built the Forbidden City, which remains a signpost for how Chinese people feel about their culture. In Tibet, probably sometime around the eleventh century, king Gesar went to war against the corrupting influences that were bringing a dark age to his part of Tibet. He is depicted as riding the energy of nowness or lungta, as symbolized by his magical horse. You can find his image today many prayer flags. If you google “Gesar” you will find many examples of his epic story still being presented in modern Tibet. For most Tibetans, Gesar is a drala. When you need to raise your lungta, you can invoke him and he will come. In my own case, my father was a scientist. He wasn’t particularly spiritual. He believed in the power of thought and concept, and he tried to live in that world. If it couldn’t be proved scientifically and objectively, its existence was doubtful. But underlying that was a basic intelligence and curiosity about how the world worked. I have a picture of him in his pajamas after he had succumbed to dementia. He is in a wheel chair on the back lawn, gazing raptly at something in the trees. His curiosity and wonder are completely open and engaged in that moment. That was the drala aspect of him that was part of my own formation as a son. It lives on for me, and I thank him for that. Your emphasis on the Celtic tradition is very welcome. That tradition is dear to my own heart; I received my undergraduate degree from a Scottish university, and my outside (minor) subject was Celtic Studies. I think King Arthur is an effective representative of that tradition, since in almost every version of the Arthurian legends, he is from a Brythonic Celtic background (in terms of modern Celtic cultures, basically Cornish, Welsh or Breton). There are some other oustanding examples of Celtic sovereigns, some of which you mention. On the mother lineage side, another example is the ancient British queen Boudicca or Boadicea. Robert Bruce is an interesting case, since his paternal ancestry was purely French (from the Norman and Angevin invaders of medieval Britain). It’s said that he ruled in French, read in Latin, celebrated in Gaelic, and cursed in English. In any case, thanks again for making your contribution to this discussion.